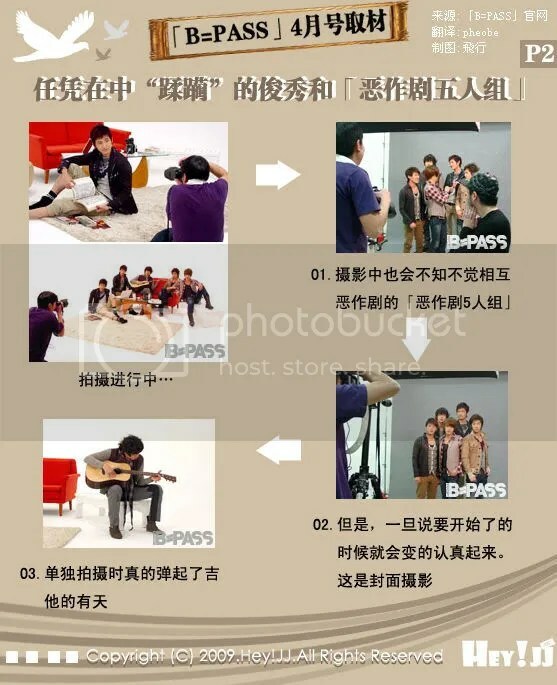 The cover shot was supposed to be completed in 2 hours this time, and the schedule was individual shooting -> individual interview -> group shooting -> group interview, so the entire procedure was a little messy. Next was the group photo-taking. When shooting the cover, the five of them received instructions to “Stand closer together”, whereby they stood further apart instead. The crew immediately burst out in laughter. They especially made fun of each other during the group photo shoot, and played pranks on each other. The five of them really share a close relationship. After that, Jaejoong pinched Junsu’s cheek for fun and Junsu just allowed him to get on with it. Yoochun noticed the gomuku set in the set immediately as he arrived, and had a game of it with the crew but, regretfully, he lost. Changmin was listening to music the entire time he was waiting. Yunho’s personal best recently for bowling, which he likes a lot, was 224, and he even plays table tennis with Junsu. Yunho likes pomelo-scented smells. -> 06. Junsu’s looking at the notebook, what’s on the screen? -> 09. Everyone’s poses when they received instructions to be “relaxed”. 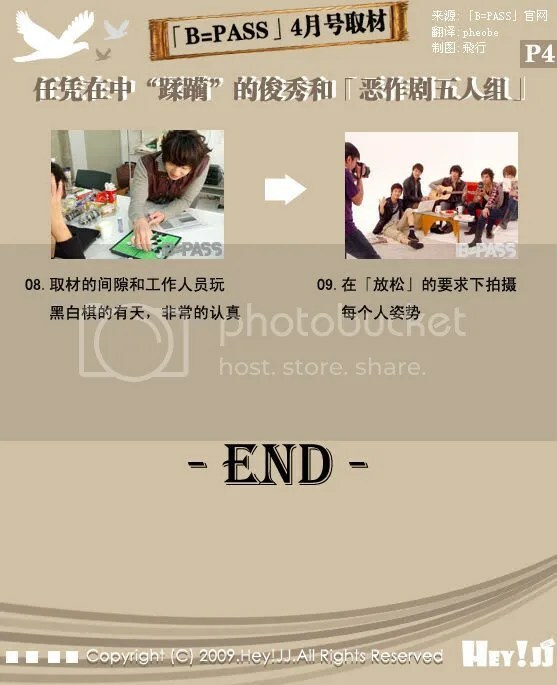 This entry was posted on February 27, 2009 at 4:08 PM and is filed under News, Translations with tags THSK, Tohoshinki. You can follow any responses to this entry through the RSS 2.0 feed. You can leave a response, or trackback from your own site.